Really wonderful piece over in The Dominion Post about book publishing in New Zealand. It has serious echoes of the Irish market and many of the same problems crop up for the publishers there. Varnham struggles to secure writers. Who can afford to take months off to research and write a book for a $3000 advance? More government support – for writers and publishers – would help. And, she says, ebooks are not the answer. They’re a fabulous way to get books out worldwide but sales are minimal and the return to the publisher is tiny. She credits Awa’s survival to bookshops such as Wellington’s Unity, which stacks front windows with Kiwi stories. The only way bookshops will survive, says Booksellers chief executive Lincoln Gould, is if they work together with publishers to find new sales models. In his less gloomy moments, Walker sees opportunity for small independents or writer co-operatives such as those emerging in the United States. 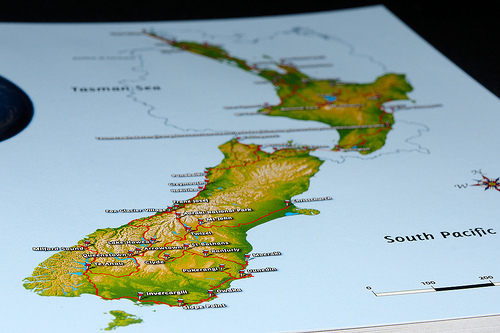 via Is This The End For New Zealand Publishing? | Stuff.co.nz. Nice piece in the Times, Eoin. Thanks for the link. I must have missed it the first time around. No worries! Hope all is good? That is exactly what it’s like here too. Only a handful of small shops are truly interested in Irish writers and writing. It varies from store to store, but I really connected with that line for certain! On a brighter note, (in an otherwise grim report) that NZ article gave me a new word – “Spruiking” – had to look it up.